Carbon-based fuels, such as oil, gas, coal and wood, are normally safe to use and it is only when they are incompletely burned through a faulty or badly serviced appliance or illegal installation that they can become highly dangerous by producing carbon monoxide (CO) gas. You can't see it, smell it or taste it, but carbon monoxide can be potentially fatal when it is inhaled in sufficient quantities. This poisonous gas kills around 14 people a year in the UK and is the reason that in October 2010 fitting an approved CO detector became a legal requirement when installing a stove. Even if you don't yet own a stove but have an open fire, gas fire or gas or oil central heating boiler you should invest in a CO detector  now. Building Regulations Document J states that the CO alarm should conform to BE EN 50291:2001 and be powered by a battery designed to operate for the working life of the alarm. It should be fitted in the same room as the appliance, as high up as possible, but not within 150mm (6") of the ceiling, and between 1m and 3m (3'4"  10') away from the appliance. 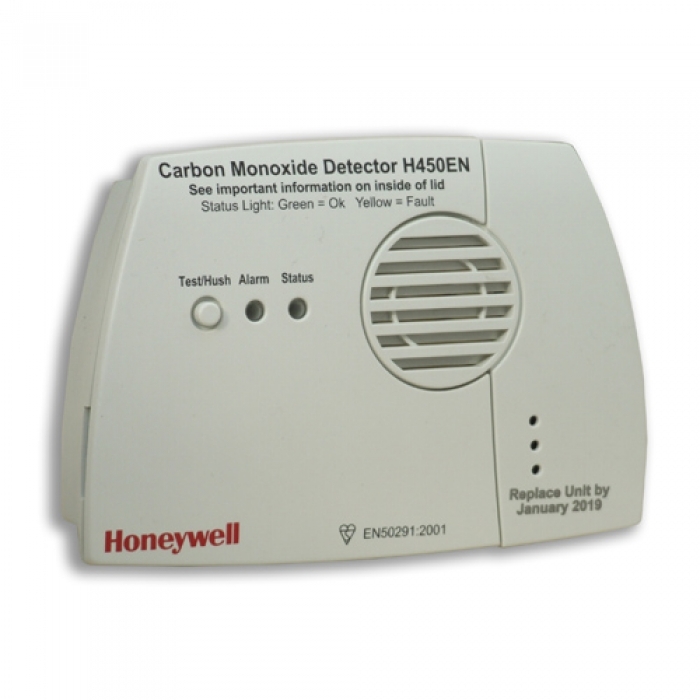 We looked at a number of CO Alarms before deciding on the Honeywell H450EN, because it more than meets your legal obligations and also because it is very well made and comes from a reputable company. It has a red light and continuous buzz that lets you know if CO is present, and its discrete green light flashes every minute to let you know that its working for you. It also has a yellow light that tells you when it has a fault.